Few women make it to the top of the business world. So it’s a big deal when they do. But it’s also a big deal when they leave. Several high-profile female CEOs announced they were stepping down last year, including Marissa Mayer at Yahoo and Irene Rosenfeld at Mondelez. Following these exits, the number of women leading Fortune 500 companies plummeted by 25% between 2017 and 2018. This year, we’ve already lost Denise Morrison at Campbell Soup Co., Meg Whitman at Hewlett Packard Enterprise and Sheri McCoy at Avon. After 32 women made the list in 2017 — a new record for women in the C-suite — female CEOs now make up just 4.6% of top executives. Because of the drop in numbers, it may appear as though women are leaving these positions more frequently than their male colleagues. 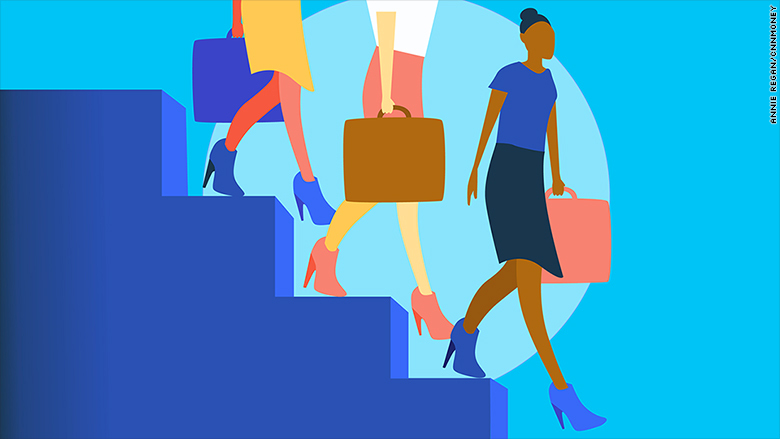 But since the number of women CEOs is still so small, it’s hard to compare their trajectories to the career arcs of dozens more male CEOs, says Anna Beninger, senior research director and corporate engagement partner at Catalyst, a non-profit studying women and work. “The news has been so depressing, quite honestly, and what makes it so difficult is the departures are so noticeable primarily because there’s so few women CEOs to begin with,” she says. There’s something else notable about female CEOs — they’re often the ones appointed to companies in crisis, says Andromachi Athanasopoulou, assistant professor of organizational behavior at Queen Mary University of London and associate fellow in executive education at the University of Oxford. Women have historically been elevated to some of those positions when the organization is in crisis. Scholars call it “the glass cliff,” meaning that once a woman breaks through the glass ceiling, she’s still in a perilous position. Because there are already so few women at the top, each female CEO exit also has a negative impact on the women working below. When there’s fewer women in power, that means there are fewer female role models and more pressure on the women in the spotlight. “Women don’t want to be in a position of tokenism, so they don’t want to serve as the only one, the role model to get through the glass ceiling,” Athanasopoulou says. There are several ways to fight this, according to Beninger. Companies can empower women with training and leadership development programs, so they can see themselves in the CEO position even as the numbers dwindle. Company boards can prioritize diversity, to ensure that there are more female board members who can in turn play a part in appointing female CEOs.